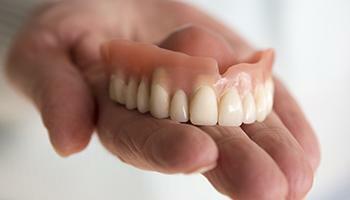 Full dentures are intended to replace an entire row of missing teeth on the upper and/or lower jaw, and they consist of an acrylic, gum-colored base attached to a row of prosthetic teeth. 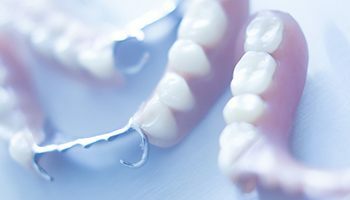 They sit directly on the gums, and they are usually held in place using natural suction and a bit of denture adhesive. 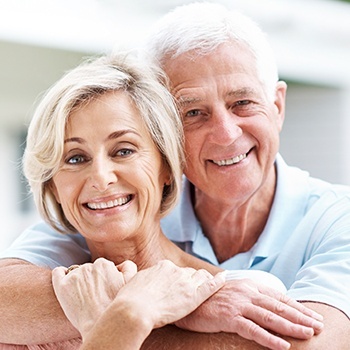 Partial dentures, on the other hand, are designed to replace just a few missing teeth while fitting in seamlessly with the remaining ones (much like the missing piece of a puzzle). They are made of ceramic teeth fitted onto a metal framework, and they are held in place using metal clasps that attach to neighboring teeth.